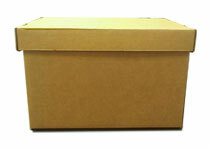 Join the Best Custom Box Design and Fabrication Facility in the South Bend Indiana Area. Serving Chicago, Michigan, Indiana and Northwest Ohio For Almost 50 years. A state of the art, technologically advanced business specializing in designing, manufacturing and shipping custom corrugated packaging. Improve your brand with eco-friendly boxes made from certified recycled fibers and materials without sacrificing quality and durability..
Why Choose Container Service Corp? We are a custom container and box design factory that fabricates exclusive lines of custom and cost-saving boxes to our wholesale customers. We work with your operational teams to spec out the right uses, materials and certifications to ensure that your boxes are delivered on-time, accomplish the right uses, and are made from the most effective and cost-saving materials to make your business grow. The right products at the right time. Our products are of the highest quality, starting with pacakge desing and continuing through production and delivery. We have some of the best, top-of-the-line equipment in the industry for your work. 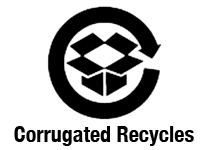 Let us help you with you're corrugated packaging. Our talented designers create custom packaging that sells and protects your products. Get the latest company and industry news. We did notice a difference (with CSC), especially in quality and service. The on time delivery was much better, quality was much better. They get the job done. We invite you to take a tour of our facility with a full video walk through of the Container Service facility. Even better, call us to schedule a personal tour of our plant for yourself and your staff.